Want to stay at Holiday Inn Kuwait? Rehlat.com helps you find your perfect hotel room or suite accommodation in Holiday Inn Kuwait. With our fast online search facility you can view detailed hotel description, photos, and testimonials and securely book your hotel room online.We would be glad to help you in Holiday Inn Kuwait booking. The hotel offers value-for-money accommodation in the heart of City’s commercial district, perfectly surrounded in the area of business, culture, and tourism. The compact but functional rooms are complemented by all the modern amenities needed to ensure a relaxing and comfortable stay. Get your Holiday Inn Kuwait booking done on Rehlat and avail huge discounts and best last minute deals on hotel reservation costs. The booking gateway of Rehlat is simple, easy, and safe and has secure localized payment options like Sadad, CashU, KNET, and Master/Visa cards to make sure that you get a hassle-free, personalized and safe experience.Corporate travelers with Holiday Inn Kuwait booking can be rest assured that their stay will be comfortable while leisure travelers can make use of the concierge's vast local knowledge before preparing their itinerary. After a long day out, clients can relax and enjoy the personalized service by the expert staff at the comfort of their modern state-of-the-art rooms.Reserved your stay at Holiday Inn Kuwait and now want to change the date or have some other question? No worries! Call Rehlat’s multilingual customer support (English & Arabic) and get your every query and concerns answered and addressed.Also know the key amenities of Holiday Inn Kuwait along with the policies for the hotel at one place. 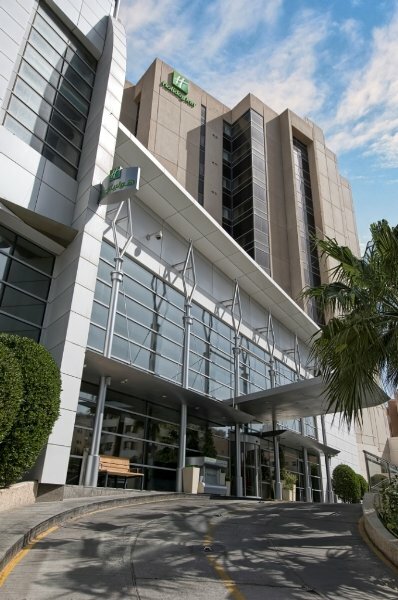 Happy Staying at Holiday Inn Kuwait!